news, television reminders, and more. 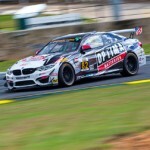 After recently announcing its expansion to a three-car GRAND-AM Continental Tire Sports Car Challenge Street Tuner program for 2012, Dublin, VA-based BimmerWorld has finalized the three pairs of drivers who will pilot the team’s trio of BMW 328is. 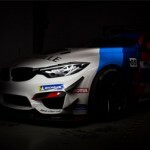 Stability, continuity, and growth have been hallmarks of BimmerWorld’s professional racing endeavors for more than a decade, and the trend continues this season as four of the team’s drivers from 2011 have returned, along with two promising talents that have recently joined the team. Employing the proven strategy of partnering winning veterans with up-and-coming drivers, team owner/driver James Clay will pilot the No. 80 BimmerWorld BMW 328i with John Capestro-Dubets, the breakout young star of the 2011 ST championship, as his co-driver. The No. 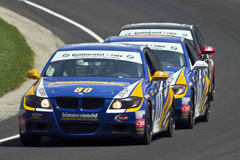 81 BimmerWorld BMW 328i will again be piloted by drivers provided by Exclusive Management, Inc. This year, the car lineup will feature sports car expert Gregory Liefooghe, who will mentor ST rookie David A. Levine. 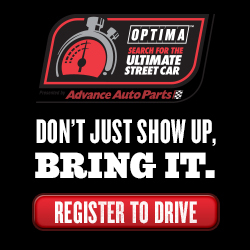 Seth Thomas, BimmerWorld’s most tenured driver, will spearhead the CRC BRAKLEEN®-sponsored No. 82 328i with Dan Rogers as his teammate. After reaching a statistical points tie and nearly winning the ST championship on the team’s GRAND-AM debut in 2010, Clay says BimmerWorld structured its driving combinations with the specific goal of earning the ST title this year. Tasked with scoring points, earning victories and teaching their new co-drivers, Thomas and Liefooghe have similar goals during the 10-race Continental Tire Series championship. Beyond sharing driving and chassis setup tips, Liefooghe looks forward to helping Levine adapt to the rigors of endurance racing. For Levine and Rogers, the decision to join BimmerWorld was made with the specific goals of learning from the best, joining one of the most respected teams in the paddock, and spending a lot of time in Victory Lane. 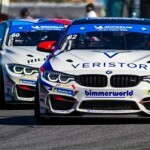 Capestro-Dubets took the first steps towards becoming a professional racing driver last year with BimmerWorld in the ST class, earning kudos throughout the season as a driver with the potential to make it to the top. With his services in high demand, the young hot shoe chose to stay with BimmerWorld for his sophomore season and continue his education in GRAND-AM. 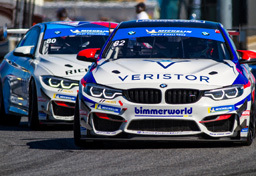 In addition to their line up of stellar drivers, BimmerWorld will rely upon thousands of hours that have been invested over the past few months by the men behind the scenes to make sure the team’s fleet of 328is are faster than ever. With the first race of the season just weeks away, Clay is confident his team has all of the ingredients necessary to achieve their goals. 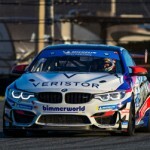 Follow BimmerWorld at www.BimmerWorldRacing.com as the team prepares for the season-opening race on Jan. 27th at Daytona International Raceway. Racing news, television reminders, and more.